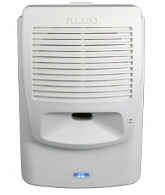 The Algo 8180 SIP audio alerter has been updated to offer a host of additional features. Compatible with a wide range of hardware from a variety of manufacturers, the 8180 is great in environments that require a loud ringer or tannoy announcements. Please note: these changes do not affect the physical appearance of the product or the ordering code. Simply log in to ProSys to view our product and stock information.